Great! 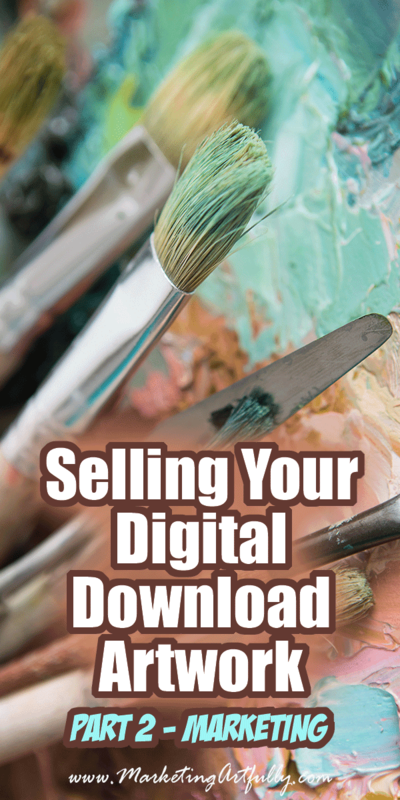 You have your digital download artwork printables up on a site to sell… now what? How do you start marketing them to sell? 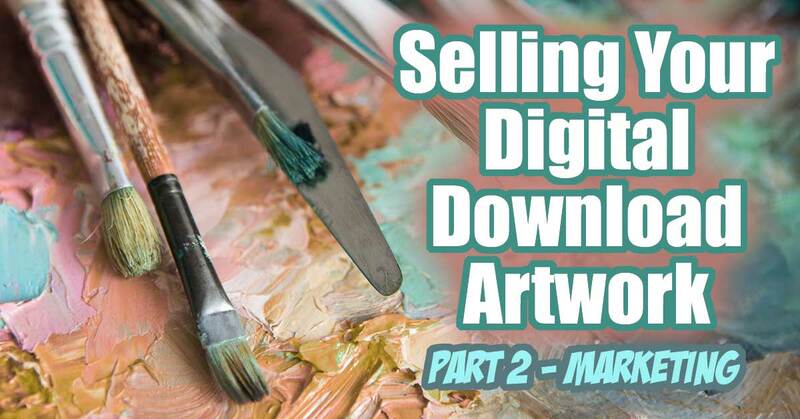 In case you missed it and are just getting started, don’t miss yesterday’s post, How To Sell Digital Downloads of Your Artwork… Part 1 – Getting Started. Please note, there are some affiliate links in this post… if you sign up for something I will get a wee bit of a commission for recommending it! 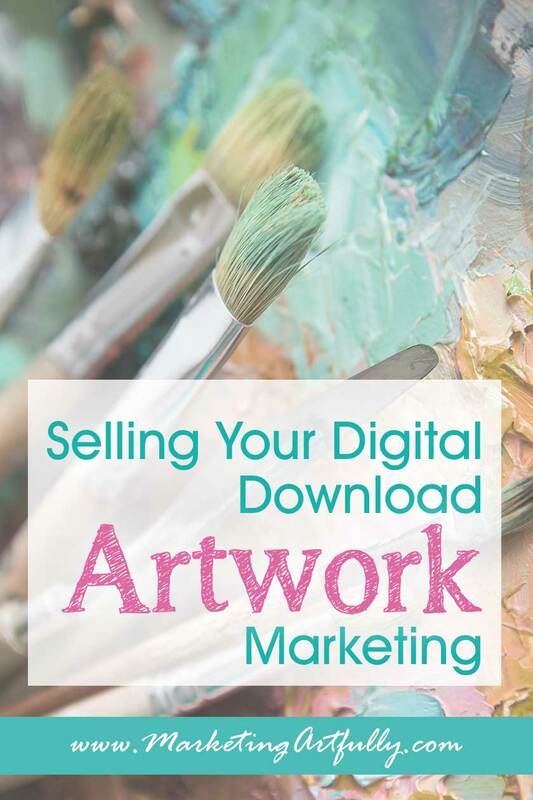 Once you have your artwork up and selling, the next step is to get people to that site to see it so they can buy! All of these shoppers will be looking for different kinds of products and you need to think about them when you are writing your product titles and descriptions! 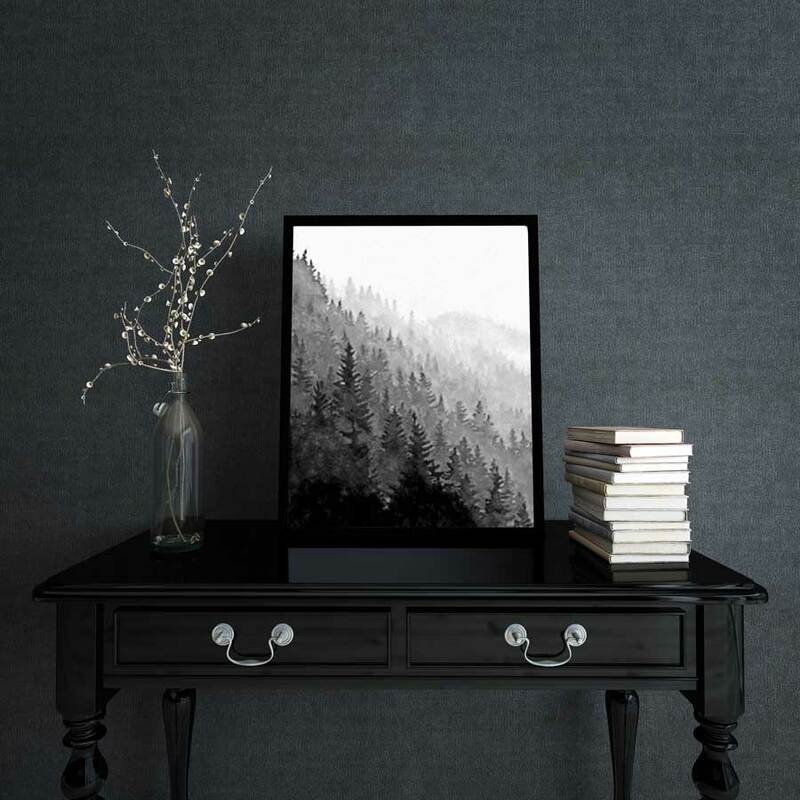 Because they are buying a digital download print, you will need to paint a picture of what it will look like when they get it printed out and set up in their home! My very favorite way to do this would be if you had each and every one of your pictures printed out, framed and set in an amazing, styled room with great lighting and a perfect theme… yay! But for most of us artistic types, our work is what we are good at, NOT doing all that product photography! So you can use what is called a “mockup” room! For this you will buy the rights to use a stock photo that a photographer has already put together perfectly, into which you will plop your artwork! And here is one of Dwella Mahoney‘s digital down load prints in it looking all cool and hip! I simply placed her digital file over top of the stock photography shot and “bam”… we are all ready to go! You can use these mockups of your digital prints in your listings, in social media or even to email to your potential customers (more about this later). One of the easiest ways to get started marketing your prints is via social media! You for sure want to start with the visual shopping sites like Instagram and Pinterest. The first thing to remember about Instagram is that you only get one website link that goes in your Profile. Make sure that link goes directly to your store! Then you want to start thinking about WHERE your artwork would live. 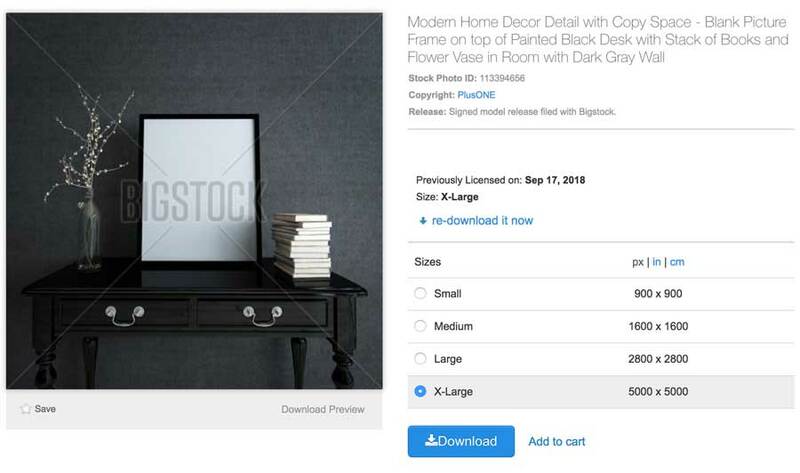 Dwella does an amazing job of painting a picture of how her downloads would look cute in this room mockup. 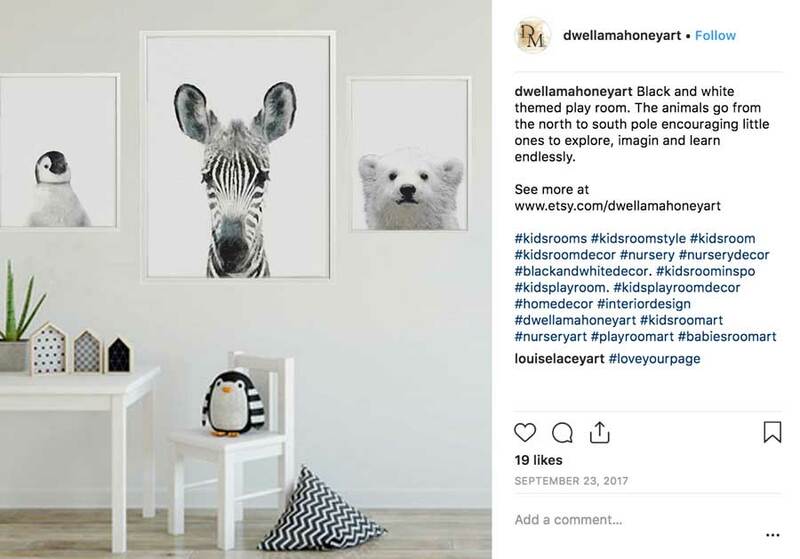 She then goes on to make sure that people who are looking for #kidsrooms and #nurserydecor can find her picture using hashtags in her post! Visit dwellamahoneyart Instagram – she does a great job of selling her artwork using different mockup images! Pinterest is a little different than Instagram since it is an aspirational buying site. People (women mostly) will make huge pin boards of their next project and then make decisions later about what to buy. Again, it is pretty easy to make your items show up to the right shoppers… for example, say your artwork is perfect for a man cave. I did a search on Pinterest for “man cave”, then they suggested “ideas”, then “on a budget”, then “decor”… PERFECT! 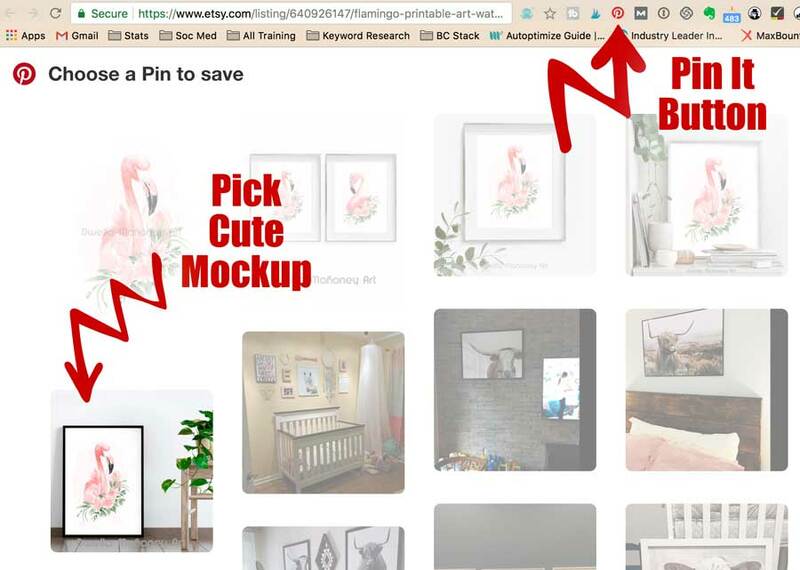 What you would do is upload a pin of your mockup (preferably using the “Pinterest link” on your shop) and then make sure you use those specific words in the description you write for that pin! Easy peasy! 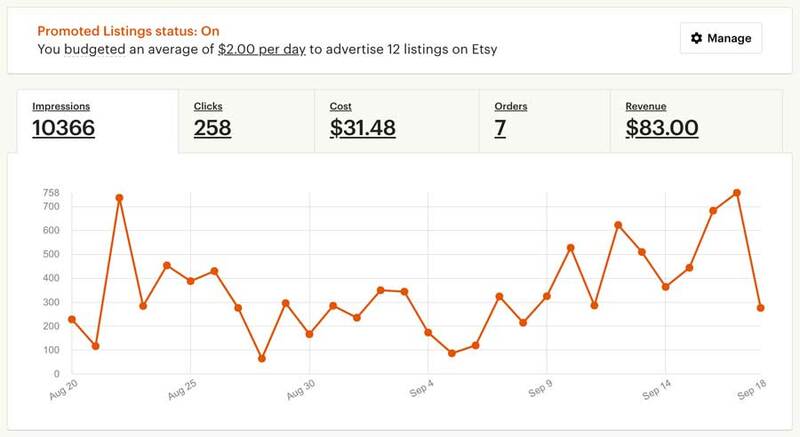 If you use a site like Etsy it will make it a “Buyable Pin” that shows your price and that they can get it on Etsy. If you already have a great following on Facebook then for SURE let them all know about your new digital files for sale. That said, if you are just getting started selling your artwork on Social Media, I would not pick Facebook to do first. They have changed the reach of business posts and now you might have to spend a fair amount of money to have your commercial posts (like selling artwork) seen on the site. Yes, you could maybe have a post go viral, but if Facebook is the only place you are using you are missing out on two powerhouse social networks, Instagram and Pinterest. Pro tip :: If you are posting to Instagram you can automatically have it share to your Facebook page! Whoo whoo, saving time all over! 1. If you are not techy at all and don’t know what you would send in an email newsletter, I would start this last. 2. If you are even a little okay with computers and have great ideas for what to send, I would start this first! Reason being is that when you have an email newsletter you can talk to potential customers every week or month and increase sales easily! One of the main reasons I find artists don’t want to send out their newsletters is that they worry they are “bothering” their readers. I have to tell you that as an art fan, I am never bothered by hearing from my favorite artist… I just like seeing what they are up to! If you have your own website, getting people to join your mailing list is easy! Just do a little popup and give them a 10% discount towards their first purchase… YAY! You can put a link to your newsletter signup in your shop header, it just won’t be “clickable”, they will have to cut and paste it. You can do the same in your outgoing confirmation email. You can also make an extra file in your digital download fulfillments that is a “start here” that tells them how to download and print your file AND suggests that they visit your email signup form to get upcoming coupons and discounts! There are two email providers I recommend to new email senders, Mailchimp and Constant Contact. Both are easy to use and great for people who are artists, not marketers! If you are using Etsy to sell, then “Shop Promotions” are a great way to get more customers. I spend between $1-2 per day and just make sure that I am not spending more than I am making! Here are my last 30 days (which is my ABSOLUTE worst time for selling because it was the end of the summer). Now, if I was selling something physical that I had to make, process and ship, almost tripling my money would maybe not be worth it. But since I don’t have to do anything now, I can just “set it and forget it” and Etsy sells some of items for me with no effort at all! Figure out a marketing channel like Instagram or Pinterest you already like using and start seriously marketing your artwork. Get better at making cute mockups that show your digital products in action. Learn to do Pinterest descriptions or Instagram hashtags to get your products found when people are looking. Hopefully that helps! If you have any questions please don’t hesitate to email me, tara (at) marketingartfully.com.